Your mother and grandmothers, and their mothers before them probably spoke the words, "don't play with fire." When it comes to choosing the perfect gas log or fire pit to accompany your Greenville Outdoor Furniture, however, our fires become less of a risk. At Daughtridge Patio & Hearth, we provide patio furniture such as tables, seats, and outside decor in addition to an abundance of fire places and hearths. These fireplaces include gas logs, fire pits, and table chat pits for your outdoor living arrangements. 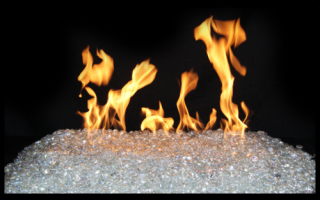 Because we carry such an abundance of fire options, we thought to give you a brief lesson on them. Gas Logs Daughtridge Gas & Oil provides you an assortment of gas logs for your indoor or outdoor fire needs. We carry customizable collections with RH Peterson, Heatmaster, Empire, and Mendota. 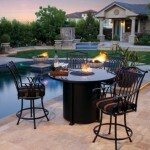 Want to add a touch of class to your Greenville outdoor furniture? Bedazzle your fireplace with vented logs or even gems. Play with Fire at Daughtridge Patio & Hearth Today!